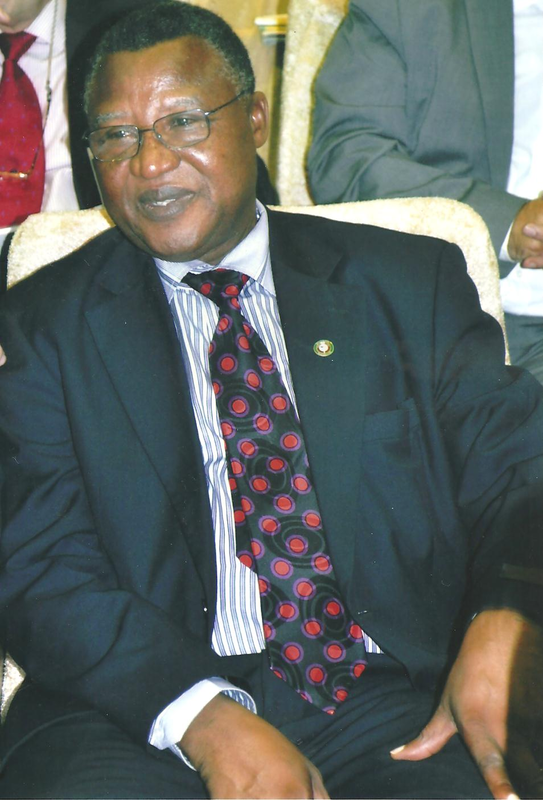 Aboudou Toure Cheaka is the Special Representative of the President of ECOWAS Commission in Republic of Mali. He was born in 1947 in Canton Koumongou Prefecture Oti in the Republic of Togo. He was at EPHESS, 1970-1972), then at the School for Advanced Studies in the Social Sciences (Paris, EHESS, 1976-1978) as well as the University Paris I, Sorbonne (1977 – 1978) for his formal education. In addition to the doctoral third cycle development sociology from the EHESS (1978), Mr Cheaka holds, among others, a Master in Political Science (Paris I, 1978) and the professional degree education Sociology and adult education at the National Conservator of Arts and Crafts (Paris, CNAM, 1977). He began public service life and gathering of professional experience in 1986 when he was made Coordinator of agro-teaching programme for professors from the University of Agronomy (University of Benin, Togo). He held several positions in the civil service and political structure of Togo until 1991 when he became the country’s Minister of Foreign Affairs and Cooperation. A renowned initiator, Cheaka, has over forty years of professional experience both at national, regional and international levels including 22 years in the national administration, 10 years in the United Nations service and 14 years in the framework of African cooperation. His areas of preference and specialization include Sociology, Sociology of Development, Political Science, Pedagogy, Andragogy, Political Economy and Entrepreneurship. His political activities and militancy spans through the days as Assistant Executive Secretary of his political Party -the People’s Rally of the Togolese. He was also a member of the National Party Youth Commission where he rose to the post of External Relations chieftain. Cheaka has vast experience in international cooperation and diplomacy, conflict management and mediation, development and consultancy as well as scientific research and training. He was the Minister of Foreign Affairs and Cooperation of the Republic of Togo, before moving to the Office of the International Labour Organisation (ILO) where he spent ten years. Prior to that, he held various senior positions including Chief of Staff to the Foreign Affairs and International Cooperation, and Director of State Protocol at the Presidency of the Republic of Togo. A major calling of his has been the task of managing the Malian institutional political crisis triggered by the coup of 22 March 2012. Since May 2012, he has played an important role as Special Representative of the Chairperson of the ECOWAS Commission and was deputy head of the International Support Mission in Mali in African leadership (MISMA) helping to get rid of terrorists and jihadists installed in the three northern regions through the intervention of Franco-African coalition forces. For this, he was a member and representative of ECOWAS in international mediation teams of Ouagadougou (2013) and Algiers (2014-2015). Before that, he represented the International Labour Organisation in the multi-country program of demobilization and post-conflict rehabilitation in the Great Lakes from 2002 to 2012 as senior specialist in socio-economic reintegration of former combatants, not to mention historical role played chief of mission at the head of the Ambassadors of the African Union Committee (formerly OAU) to mobilize assistance from support to countries in the front line fighting for the liberation of territories in Southern Africa , 1981-1982. For ten years, Mr Cheaka contributed to the development and implementation of more than twenty classic micro enterprises and Small & Medium Enterprises (SMEs) development projects or cooperatives in several countries in West and Central Africa including savings and credit cooperatives. Consecutively, he led several consulting teams in favor of the ILO, the OIF and the World Bank, to mention a few having also created the consulting firm- African cooperative Consultant in 2000. From 1990 to 2000, Mr Cheaka was successively the Director of the Cooperative Training Centre which later became Pan-African Higher Institute of Economics Cooperative based in Cotonou, Benin. Before then, he served as Deputy Director and Director of Studies of the National School of Social Formation of Lome and as such had to coach more than two hundred master’s theses including PhD theses, excluding research scientists carried out under its own graduate studies at the Ecole Pratique des Hautes Etudes en Sciences Sociales (Paris). Mr. Cheaka has been a civil society activist and worked tirelessly for the creation of the Support Network for capacity building for cooperatives in Africa and was President of that organization from 1999 to 2000. He was also the Treasurer of the Union of Students and Trainees of Togo in France from 1976 to 1978 as well as being the Secretary-General of the Association of Social Promotion Officers from 1974 to 1976. He prefers team sport (football, volleyball, basketball) beginning as an amateur in his youth. He also loves reading and regular monitoring of national and international news.